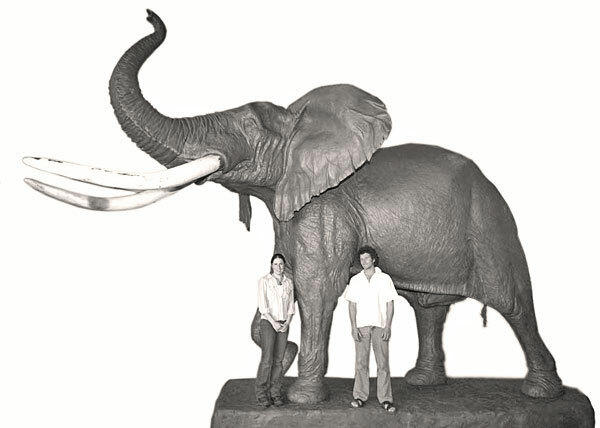 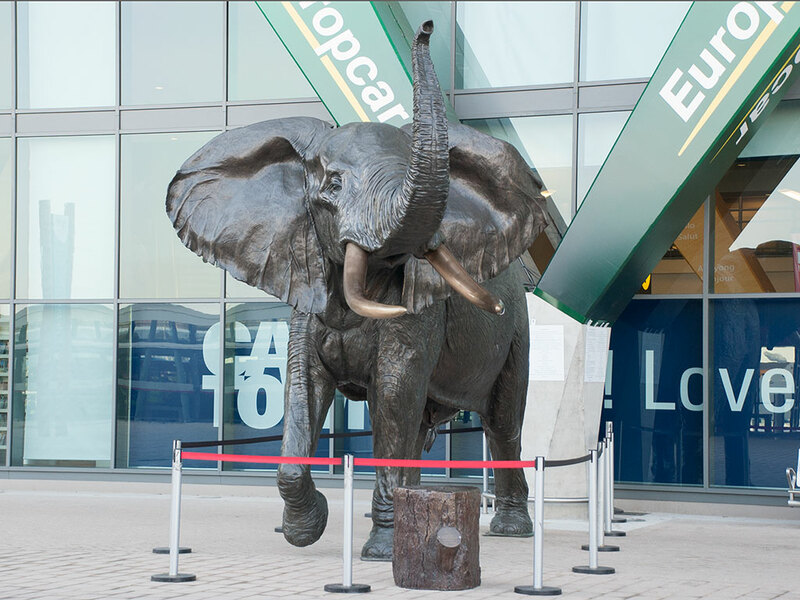 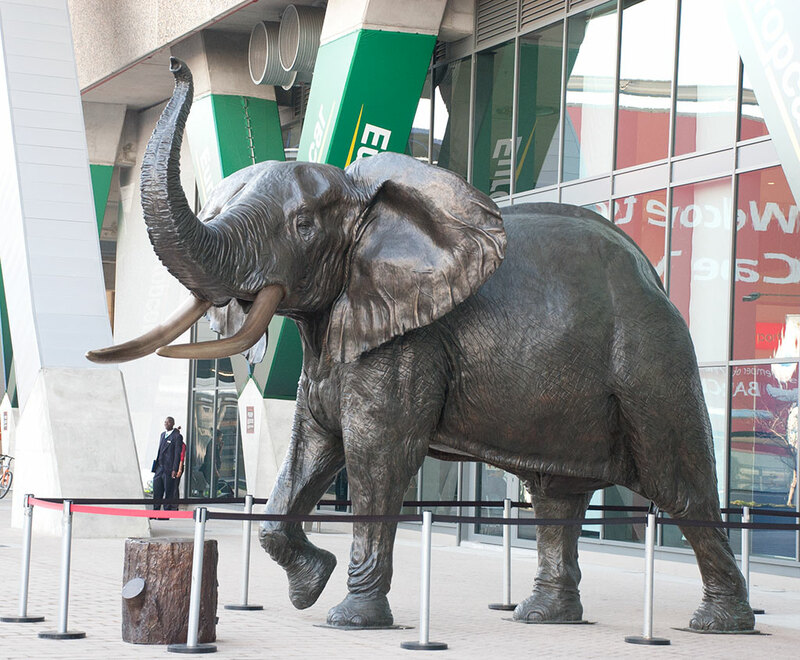 This life size elephant bull was sculpted under the direction of Jean Doyle and the Doyle Art Foundry. 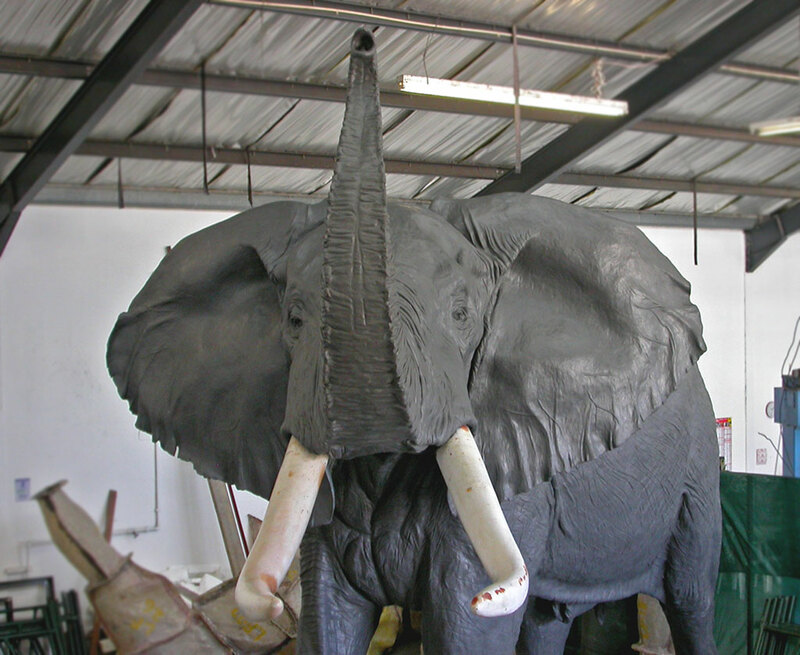 The project took 2 years to complete, of which 3 months were spent sculpting the original piece in wax clay. 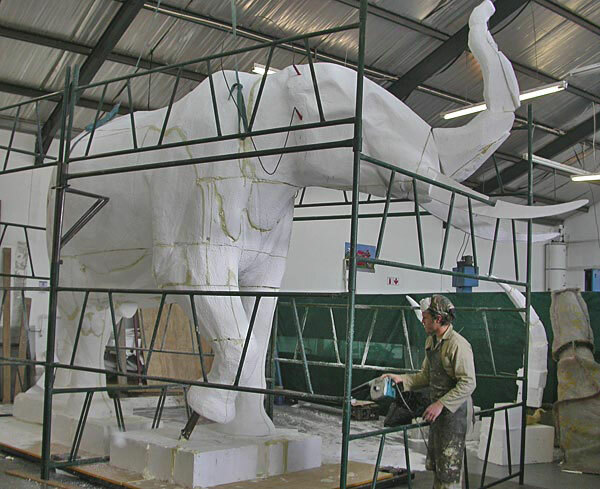 Massive blocks of polystyrene were joined together and carved into the basic shape, which formed the core of the the sculpture. 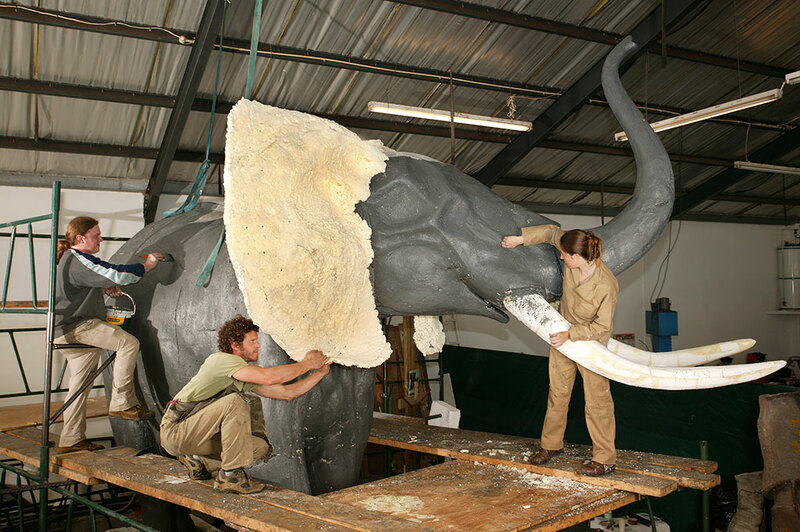 This was then covered, and all the detail sculpted in using modelling wax. 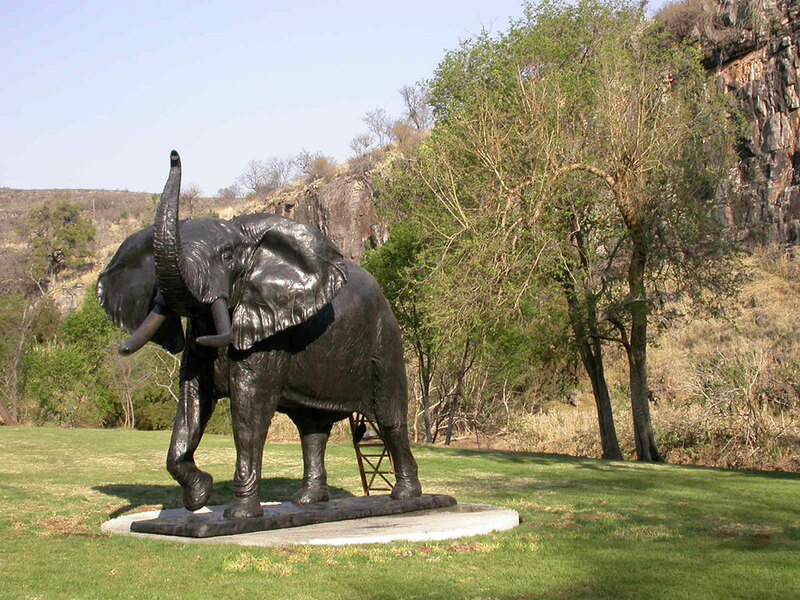 From there a silicone rubber mould was taken, from which first a resin copy was cast before the completion of the bronze.